Sustainability criteria do not yet receive enough consideration from investors, companies or lenders. The RNE, Deutsche Börse AG and the financial experts on the Steering Committee of the Hub for Sustainable Finance have presented ten recommendations for a more sustainable financial system. The future federal government, too, has a role to play. Environmental and climate protection, fair pay throughout the supply chain, respect for human rights in production countries: ecological and social criteria are already part of decision-making processes for many business professionals and financial backers. On the financial markets, however, the topic still does not carry much significance, For example the volume of assets under management currently listed on the sustainability index of Deutsche Börse totals just 12.5 million euros. How can we promote the development of sustainable finance? To take on this challenge, Deutsche Börse AG and the German Council for Sustainable Development (RNE) have joined forces in strategic collaboration. 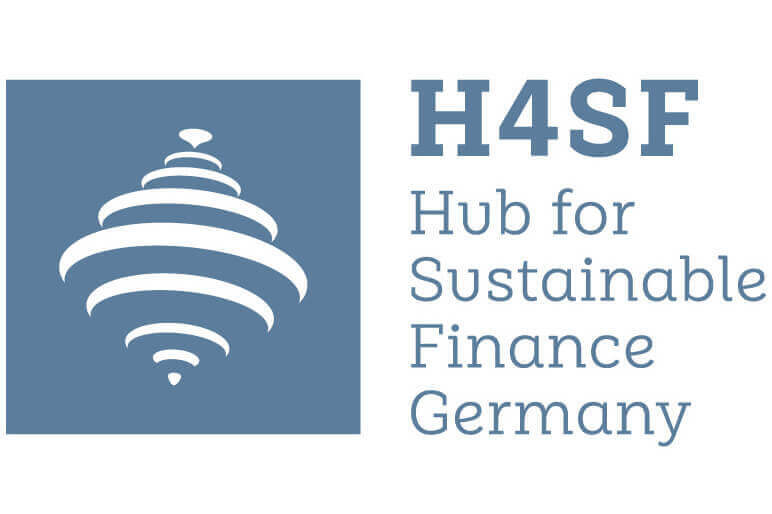 Starting immediately, the Hub for Sustainable Finance (H4SF) will be a place of discussion and forward-looking ideation, in particular aimed at cultivating discourse between the business sector, the financial market and societal stakeholders. “In Germany especially, the role of the capital market from a sustainability perspective has not yet been given enough consideration,” comments Council member Alexander Bassen, professor at the University of Hamburg for business management and capital markets studies and member of the H4SF Steering Committee. In his view, the actors themselves on these markets have an important lever at their disposal. Together with other members of the Steering Committee of the Hub for Sustainable Finance, Bassen has now prepared ten recommendations for sustainable finance, which the Steering Committee presented in Berlin on 27 September. The paper was based on the interim report of the High-Level Expert Group on Sustainable Finance of the European Commission, the PRI Roadmap for Germany, the living document Sustainable Finance by the Council for Sustainable Development, which the Council has been updating since March, the goals of the Accelerating Sustainable Finance Initiative of Deutsche Börse and the recommendations of the Task Force on Climate-related Financial Disclosures of the Financial Stability Board. In the view of the experts, the time has come for policymakers to make good on their obligation. They have an important role to play in generating formative impulses, and as the paper states early on, the government has not fulfilled this role sufficiently. In the opinion of the authors, the financial sector and its due responsibility are under-represented in the German Sustainable Development Strategy. Vice versa, on the part of financial market stakeholders, a sector-specific discussion of their contribution to achieving sustainable development goals is also said to be lacking. Bassen calls on the future federal government to embed the topic in the Sustainable Development Strategy. This would bolster productive exchange between the capital market and politics, in the Council member’s opinion. Steering Committee member Michael Schmidt also sees this push and the recommendations for action as very necessary. Schmidt is an expert on finance, Managing Director of Deka Investment and member of the High-Level Expert Group on Sustainable Finance of the European Commission. In EU comparison in particular, Germany lags behind its peers with respect to the topic of sustainable finance, explains Schmidt. While nations like the United Kingdom or France have numerous representatives that participate in the European Commission’s group of experts, Schmidt is the only representative from Germany. “Too many financial market players still see sustainability criteria as a constraint on achieving their goals – entirely without justification,” says Schmidt. Rather, it both yields returns and is part of the fiduciary duty to take sustainability into account explicitly and systematically in the so-called magic triangle of returns, risk and liquidity. With the Sustainable Development Goals (SDGs), the world community has committed itself to fighting poverty, protecting the environment and placing sustainability aspects squarely in the focus of all areas of life and all decision-making. For Dustin Neuneyer, Head of Continental Europe of PRI Principles for Responsible Investment, the primary question is whether or not the financial sector can implement the UN’s Sustainable Development Goals – even in Germany. There is truly no lack of examples that illustrate just how urgently engagement on the part of lenders and companies is needed in order to advance sustainable business practice. The diesel scandal with its falsified emissions reports is one and the 2010 fire on the Deepwater Horizon drilling platform is another. The resulting oil spill had devastating consequences for the ocean’s ecosystem. What should the next step be following these ten recommendations for sustainable finance? What groundwork needs to first be laid? The members of the Hub for Sustainable Finance will be discussing their ideas further on 23 October. At the German Sustainable Finance Summit in Frankfurt, representatives of politics, business and finance experts, investors and scientists will come together. The event is being held under the aegis of the German Federal Ministry of Finance. The Secretary of Commerce of the state of Hesse, Tarek Al-Wazir, will be in attendance to welcome the guests with the opening words. The aim of the event is to highlight the most important aspects for the agenda for sustainable finance in Germany and to generate awareness of it among policymakers. Due to the high degree of interest, the event is already fully booked up. A live stream of the event will be available on 23.10.17 from 9 a.m. to 6 p.m. for all interested parties at www.h4sf.de. Sustainable Europe 2030. Perspectives on European Public Dialogues. Sustainability needs to become the global standard of business: without this, it will be impossible to achieve the Paris climate goals and the Sustainable Development Goals of the UN. 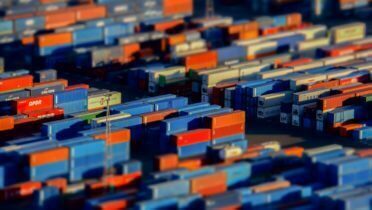 But how can globalised companies with worldwide supply chains take on social and environmental responsibility? How does sustainable finance advance the cause of decarbonising the world’s economy?